I had heard about half of the tracks on this compilation before I got it, so I knew what to expect. 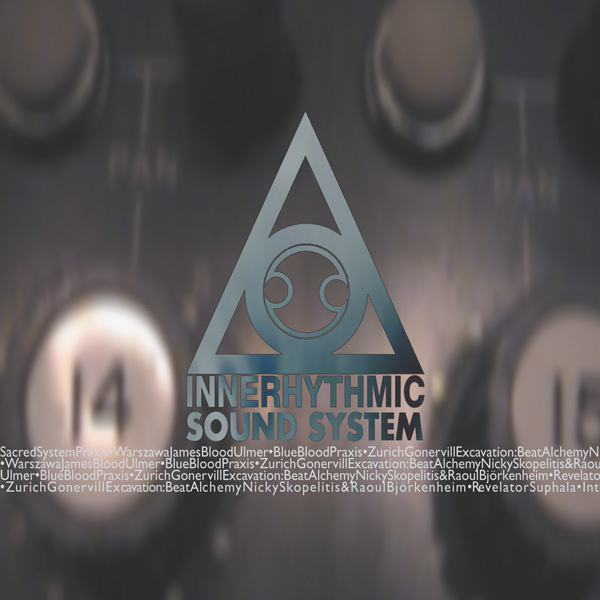 Innerhythmic is dedicated to a kind of world/jazz/electronic fusion that I generally enjoy, and I was not disappointed. Bill Laswell starts things off with the sparse groove “Babylon Sync,” featuring some spacey electric piano and deep soundscapes. Laswell’s Sacred System follows that with a remix of “X-Zibit-I” off the Nagual Site CD. This track is propelled by tabla drums and some eerie horn samples. Moving a little more to the electronic side, Praxis does “Flux and Reflux,” a quick workout for drums and turntables with some contrasting freer sections. Another Praxis cut comes later, this one a guitar-oriented at times, like a mutated cross between a free noise group and a hip-hop DJ. Suphala contributes a tabla-driven piece called “Psyche” with some interesting electronic interjections, a more experimental counterpart of some of the India/electronica combinations I’ve heard. We also get two tracks off of Blood Ulmer’s Blue Blood [reviewed in #24] and one from Nicky Skopelitis and Raoul Björkenheim’s Revelator. The Ulmer tracks sound a little out of place, being electric blues with a bit of jazz, but variety is sometimes a good thing. If any of this sounds like intriguing stuff to you, this is a good place to start for the label.